NOW IN ITS 3RD YEAR THE BPM AND CASE MANAGEMENT GLOBAL SUMMIT IS THE ONLY EVENT OF its kind, designed by a team of leading analysts to ensure program success and effective decision making for BPM and Case Management initiatives. 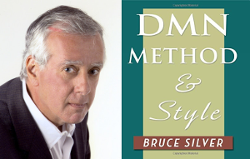 NEW FOR 2016 WE HAVE ADDED THE DECISION MANAGEMENT SUMMIT featuring a complete track of sessions on DMN and decision modeling including cases studies, capability demonstrations, industry leader panels, and a full-day workshop from leading expert Bruce Silver: Hands-on Decision Modeling Using DMN based on his best-selling book DMN Method and Style: The Practitioner?s Guide to Decision Modeling with Business Rules. FIND OUT WHY THIS PAST ATTENDEE SAID IT WAS "The Best conference I have attended, great presentations, excellent knowledge sharing opportunities, and live demos!" Discover The Ritz-Carlton, Pentagon City - a premier getaway among Arlington and Washington, D.C. hotels located in one of Northern Virginia?s most prestigious neighborhoods. Offering stunning views of the Potomac River, our luxury hotel's location near Washington, D.C., provides guests convenient access to world-class shopping, famous historical sites, exceptional restaurants and dynamic business centers. Featuring luxurious hotel accommodations, impeccable service and elegant dining, our Northern Virginia hotel provides an unforgettable retreat just moments from downtown Washington, D.C.